One Another is a delightful Sydney-based homewares company that launched its range of ethical products just last month at the Melbourne Life In Style trade event. Husband and wife team, graphic designer Rick Carter and fashion designer Annette Carter, have created a line of homewares that brings together traditional Indian embroidery techniques with a more modern aesthetic. The embroidery is a key part of the collection and has been beautifully hand-stitched by a group of women from Lucknow in Northern India. 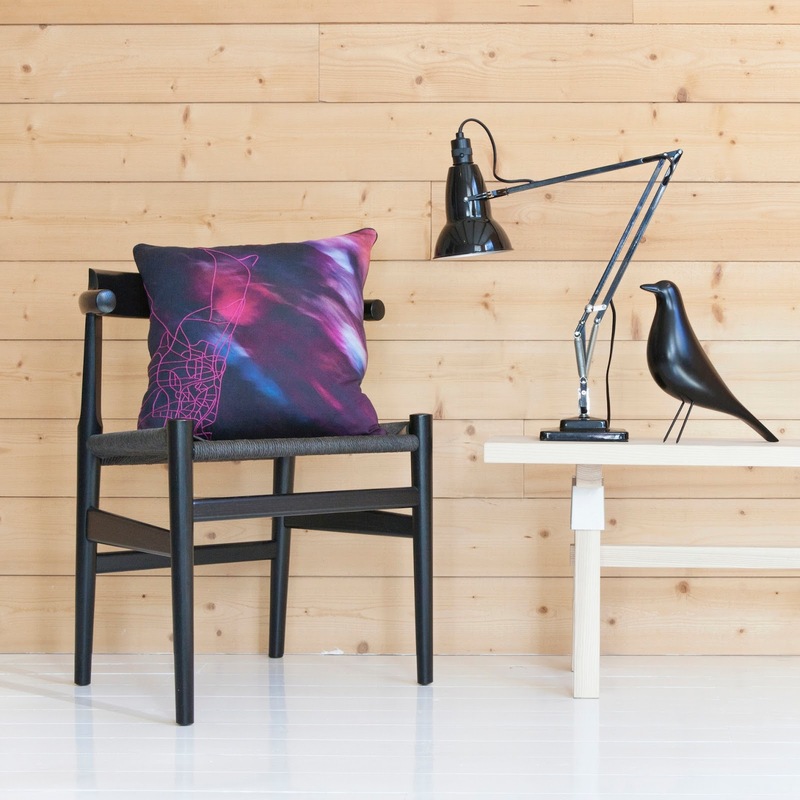 The colourful first range consists of limited edition, ethically produced cushions, scarves and artworks, which combine abstract photographic prints with delicate hand-embroidered illustrations. Below is a Chennai Chari cushion, which shows a street map of the Indian city of Chennai embroidered in a hit of magenta onto a rhythmic painterly print of swirls in pinks and black.